Did you know that today is National Brow Day? It’s fitting since eyebrows are having a MOMENT right now, and no one is celebrating better than Benefit, thanks to the release of The Benefit Great BROWnanza Kit. 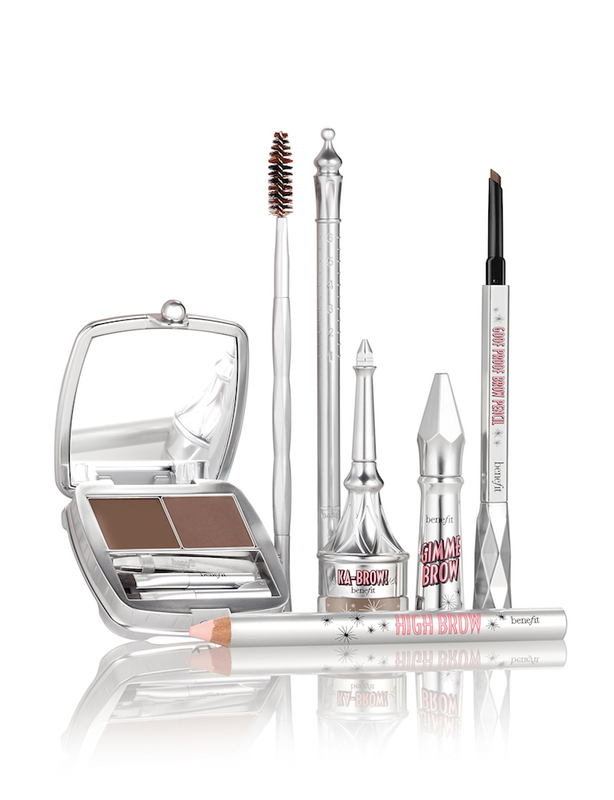 This seven-piece set has everything a brow aficionado might need to create the ultimate gorgeous brow look. This limited-edition, next-level huge eyebrow kit contains five full-sized Benefit brow bestsellers and two pro tools at an amazing price. It’s got everything you need to transform your brows into the gorgeous face-framers you deserve. You can now get the Benefit Great BROWnanza Kit for $59. That’s an amazing discount for a set valued at $151. You can say goodbye to skimpy, patchy brows with this all-encompassing kit. It’s available in shades three shades and includes Gimme Brow brow-volumizing fiber gel; Good Proof brow pencil; Ka-Brow! cream-gel brow color with brush; Brow Zings eyebrow shaping kit; High Brow eyebrow highlighter; an angled brow brush and spoolie; and a brow mapping tool. No matter what your brow woes might entail, the Benefit Great BROWnanza Kit has you covered. Head on over to Benefit and pick one of these beauties up for yourself. If you’ve been searching for a way to get the perfect brow look, this is the answer to your prayers.